If there's one thing you'll always find in our pantry, it's chickpeas (also known as garbanzo beans). The reason is simple — they're one of the tastiest and most versatile of all beans. 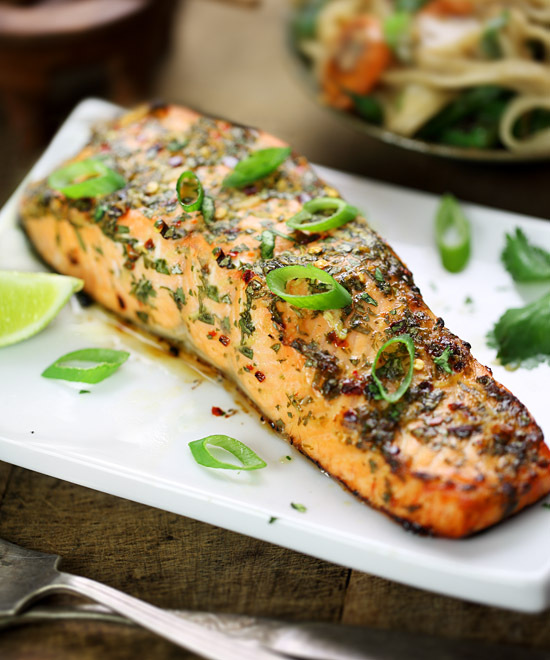 They also happen to be a great source of protein, fiber and many other essential nutrients including potassium and calcium. 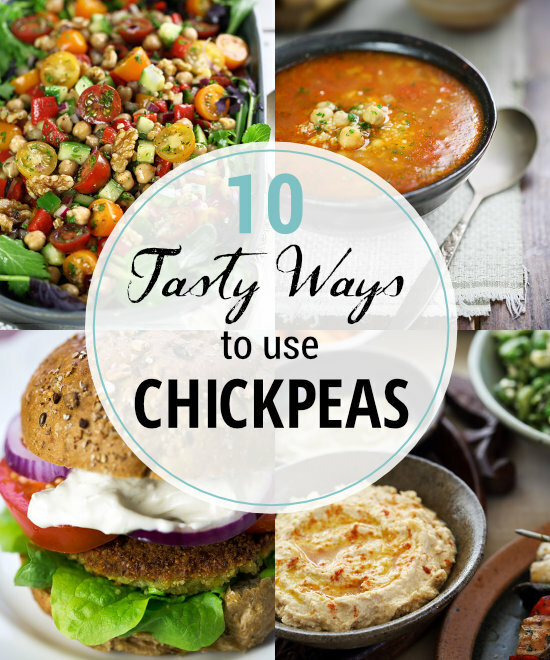 Research has even found that chickpeas can help lower your LDL cholesterol and reduce the risk of heart disease. 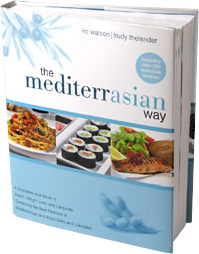 Luckily the humble chickpea is the main component in many traditional Mediterranean dishes such as falafel and hummus, and they can be added to everything from stews and soups, to pastas, curries and risottos. 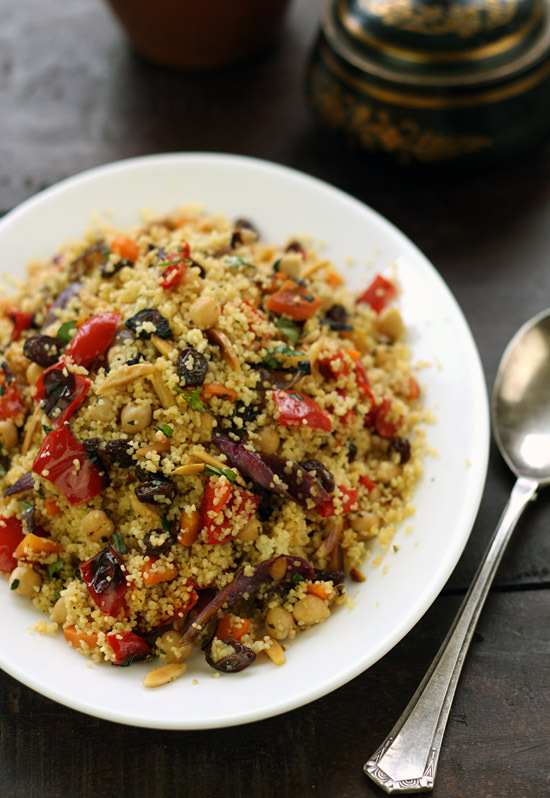 Moroccan Couscous with Chickpeas, Fast-Roasted Vegetables and Almonds. 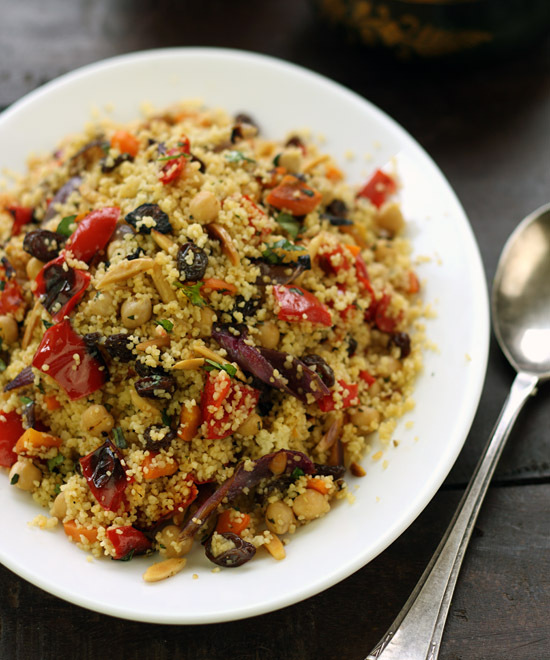 An exotic and colorful Moroccan couscous dish with chickpeas, roasted red peppers and carrot, toasted almonds, and plump raisins. 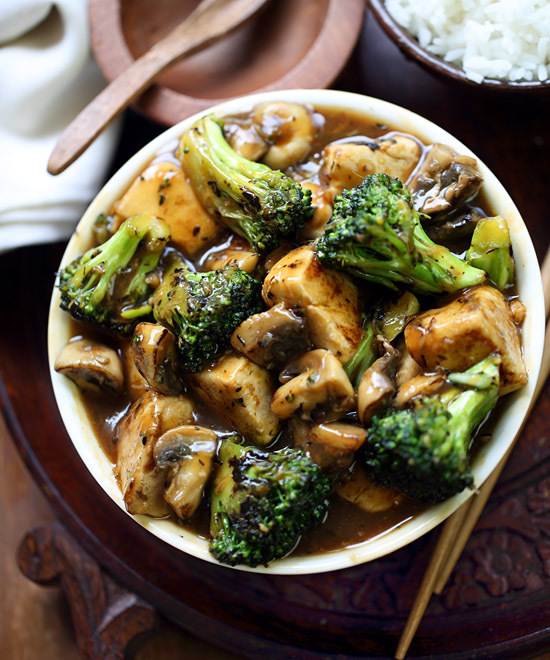 Serve as a hot dish or cold as a salad. 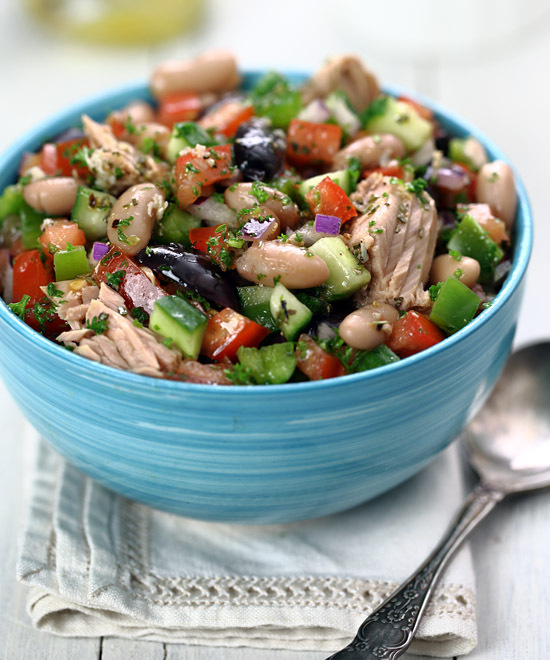 Mediterranean Chopped Salad. 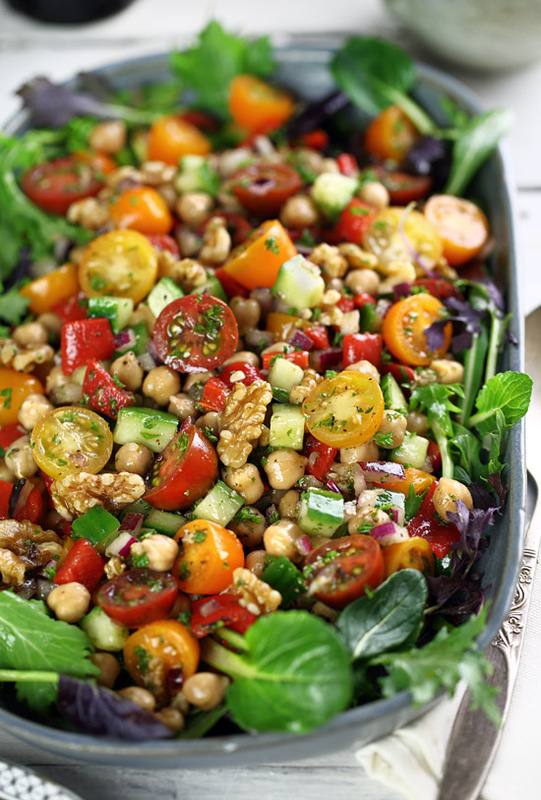 A delicious medley of Mediterranean ingredients including chickpeas, cherry tomatoes, roasted red peppers, cucumber, red onion and walnuts coated in an oregano-infused red wine vinaigrette, and served on a bed of mixed salad leaves. 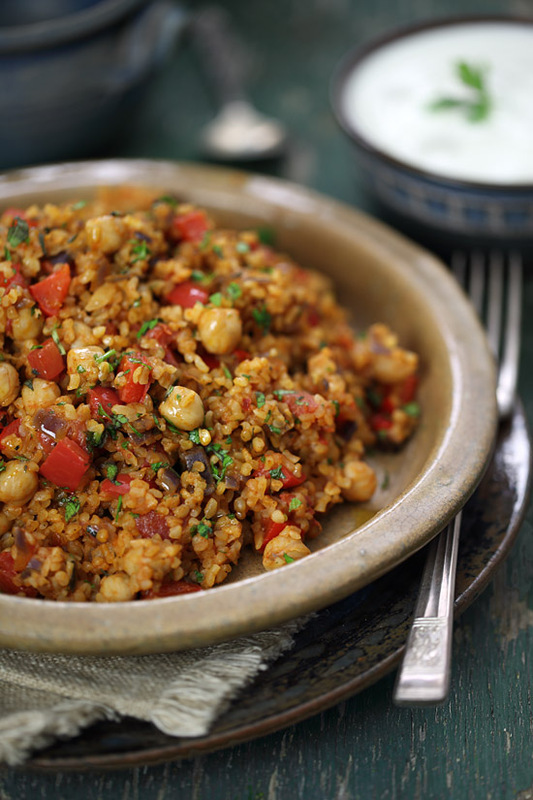 Turkish Bulgur Pilaf with Chickpeas and Tomatoes. A simple, tasty and nutritious Turkish pilaf made with bulgur, tomatoes, red peppers and chickpeas, traditionally served with thick plain yogurt (Greek yogurt is ideal). 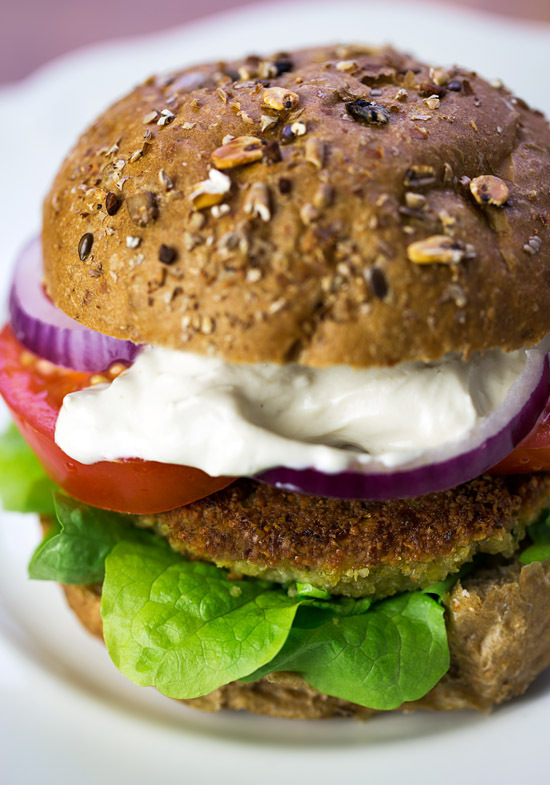 Falafel Burgers with Yogurt-Tahini Sauce. 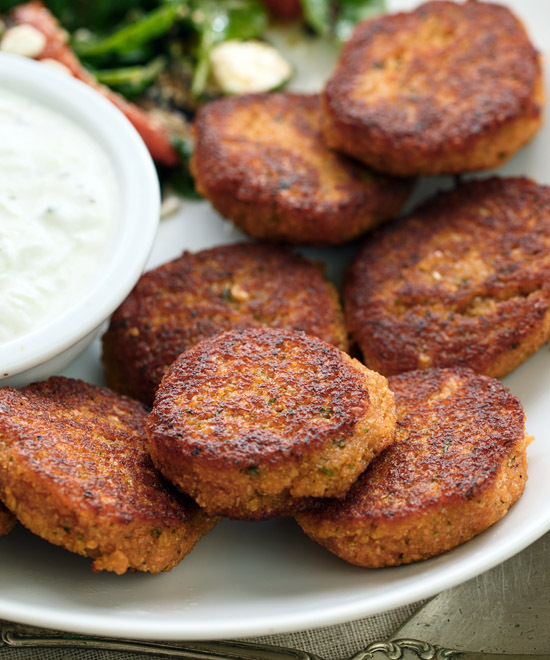 Falafel patties served in lightly-toasted whole wheat buns with fresh lettuce leaves, slices of tomato and red onion, and a dollop of yogurt-tahini sauce. Chickpea, Parsnip and Potato Curry. 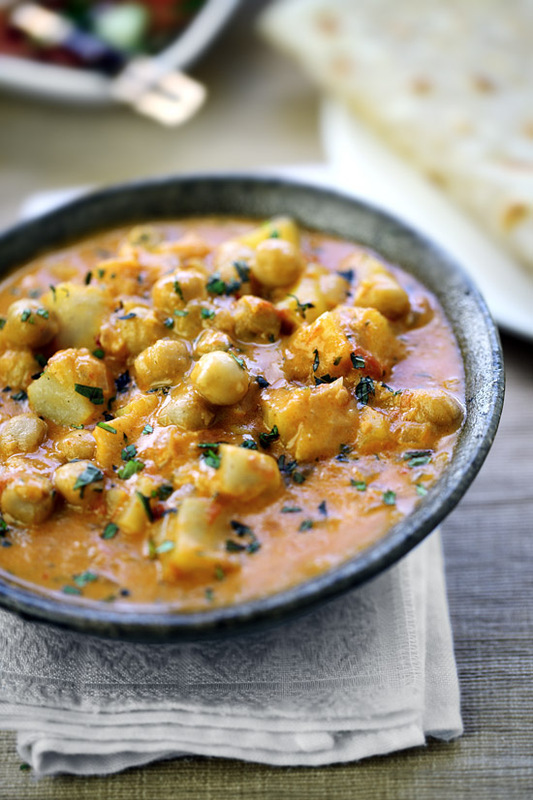 A warming and soul-satisfying Indian vegetable curry with chickpeas, parsnip and potato in a delicately-spiced tomato and coconut milk gravy. Tuscan Chickpea and Spinach Fritters. 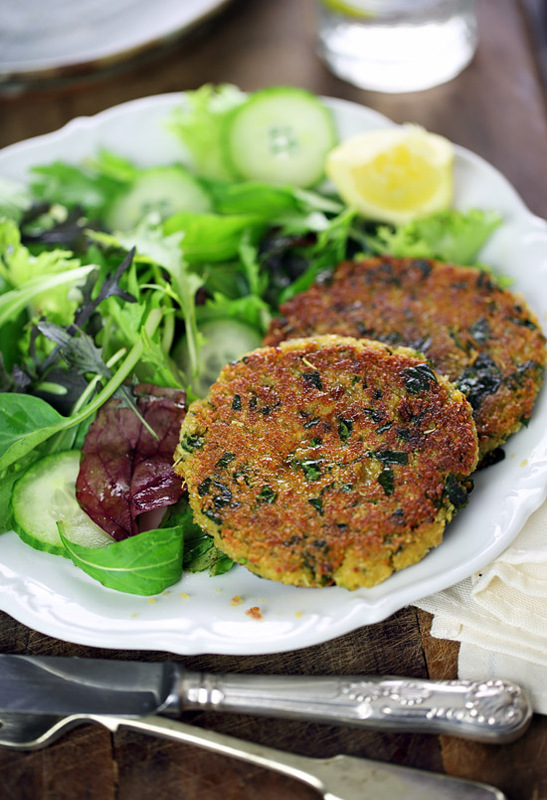 Protein-packed chickpea fritters with spinach and rosemary. Delicious served as a fritter with salad, and they also make super tasty veggie burger patties. Moroccan Tomato, Chickpea and Couscous Soup. 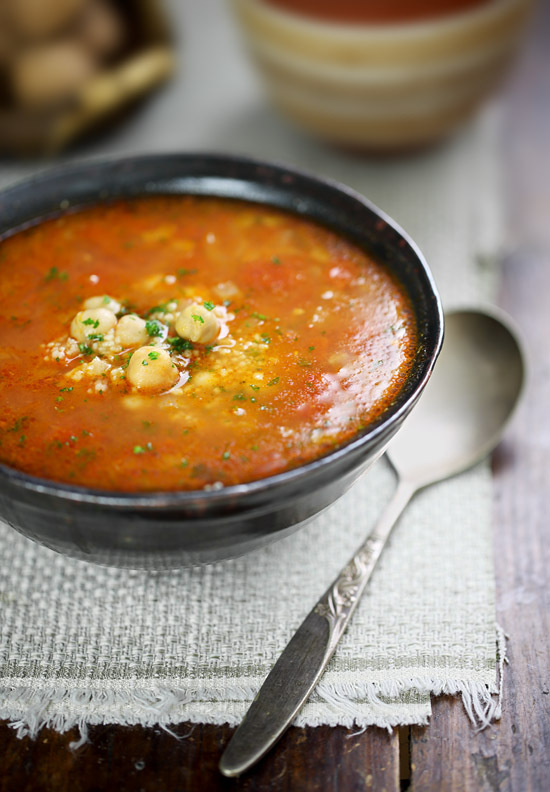 Couscous adds a wonderful texture to this Moroccan-spiced tomato soup, and the protein and fiber rich chickpeas make this soup extra nourishing and tasty. 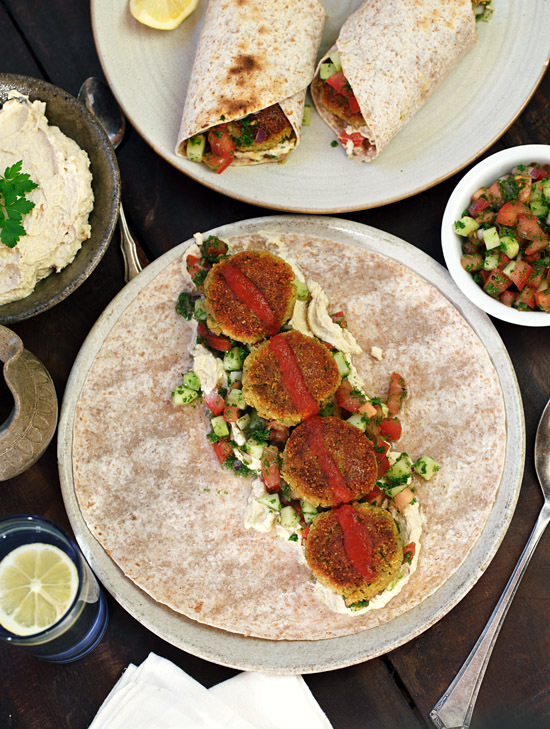 Falafel and Hummus Wraps. Whole wheat wraps filled with falafel (Middle Eastern chickpea fritters), creamy hummus, and a selection of diced Mediterranean salad vegetables. Spanish Braised Chickpeas with Tuna and Olives. 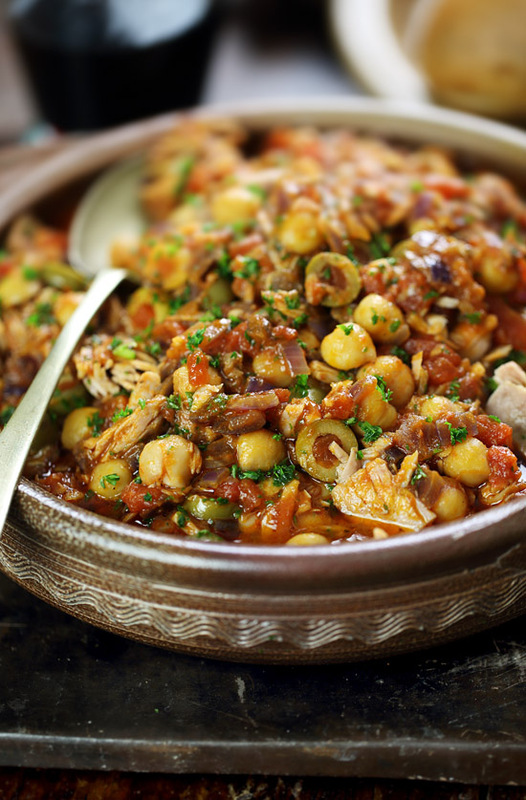 A rustic and flavorful Spanish dish of chickpeas cooked in a smoky tomato sauce, with canned tuna, and stuffed olives. 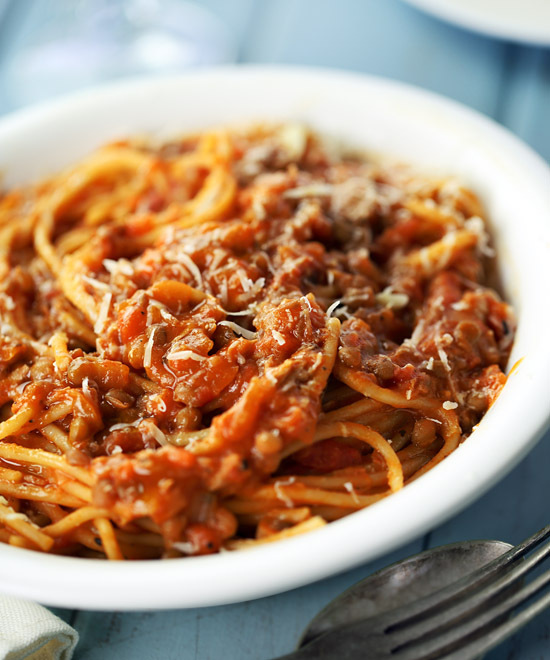 Perfect served with crusty bread on the side to mop up every last bit of the luscious sauce. 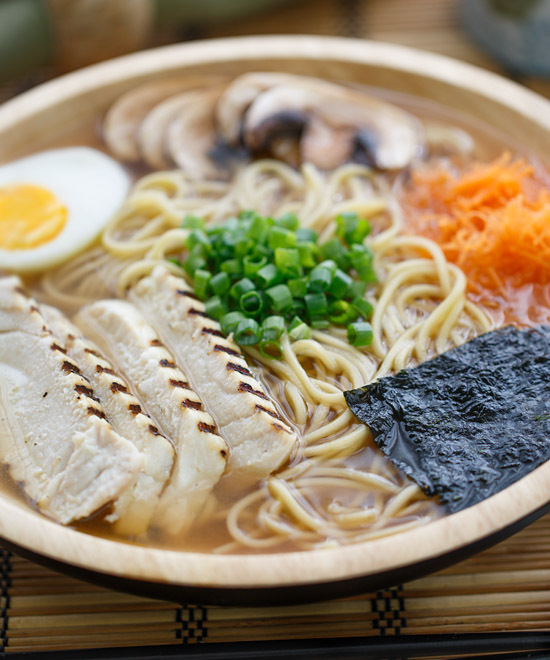 Hummus. 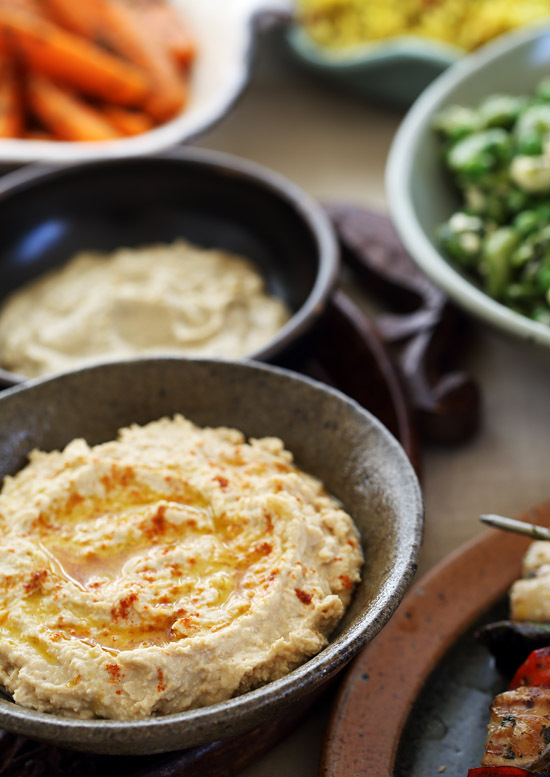 A creamy puree of chickpeas and tahini (sesame seed paste) seasoned with lemon juice and garlic, hummus is a popular dip and spread in Greece and throughout the Middle East.